In the past few weeks, we lost two Nisei giants. On the surface, the two couldn’t have been more different. Jimi Yamaichi was an outspoken advocate for the Tule Lake camp, and his strident activism contributed more than anyone’s to widespread recognition of what was once considered a shameful segregation center. At the other extreme, Mary Karatsu was a humble and devoted family member and friend whose understated strength made her no less effective. 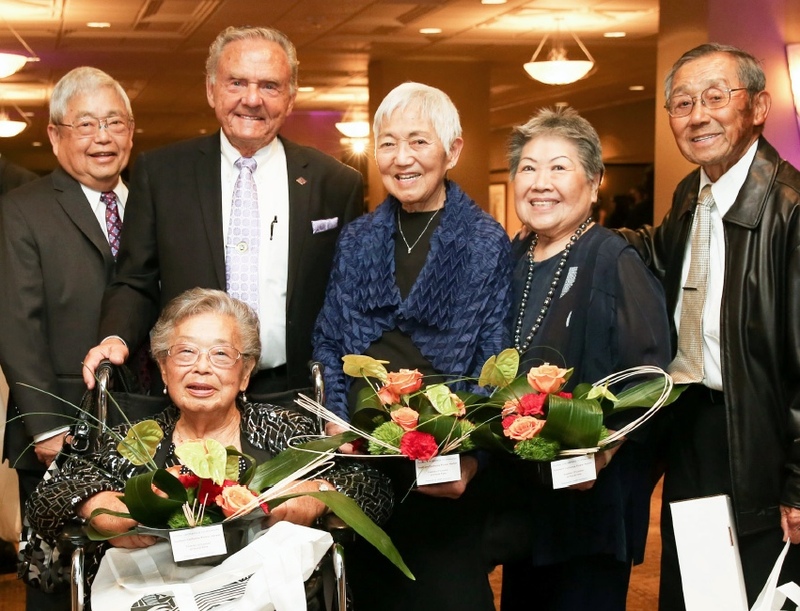 Both dedicated their lives to making sure the story of what happened to Japanese Americans during WWII would never be forgotten. Though I was honored to know both Jimi and Mary, I’d like to focus on my dear friend, Mary Tamaki Karatsu, because she was one of those strong unsung Nisei sheroes who never sought attention for herself. I only hope she’ll forgive me for all I am about to say about her. After all, Mary and I shared a very special connection: she died on my birthday. When I met her, I immediately knew Mary was special. A short little woman who roamed the halls of the Japanese American National Museum with authority, she greeted everyone with a reserved smile or an understated, “Oh hi,” but somehow you knew she was glad to see you. Whether it was the Friday JANM volunteers, the Go For Broke wives and widows, the Young Friends group, the L.A. Holiness Church Bible study class, or the myriad of others in her vast queendom, you knew Mary was the real thing — a devoted friend, tireless volunteer, and beautiful soul. She achieved Japanese American sainthood by coming up from peasant ranks. A self-described “country girl” raised on a farm by her immigrant parents, Kamehachi and Hana Tamaki, Mary exuded class and dignity. Always impeccably dressed, usually in a beautifully color-coordinated outfit, and neatly coiffed by her Crenshaw hairdresser of many years, she would modestly turn away from any compliments as if to question their truthfulness or importance. If she were to admit to any hint of refinement, she would credit Hazel Roberts, a dairy farmer’s wife and the leader of a local girls’ club. “Aunt Hazel,” as she called her, taught her everything from baking to art appreciation — even taking club members to the Huntington Library when Mary was just a young girl. By befriending and helping JAs at a time when it wasn’t popular, this cherished childhood mentor taught her kindness and generosity, two qualities Mary obtained in abundance. Mary believed that since her role model gave her so much, it was her duty to pass it along. Whether it was working at the YMCA for 28 years as assistant to the president or volunteering at JANM or Go For Broke National Education Center, Mary had a knack for helping her favorite nonprofit institutions by doing what she did best: fundraising. She raised so much money by selling raffle tickets or soliciting dinner tickets she used to joke that people would see her coming and run the other way. If it wasn’t for Mary’s close relationship with her former YMCA boss, John Ouellet, who went on to become the head of the Weingart Foundation, JANM would probably never have received its first million-dollar corporate sponsor. For her vital role in securing that gift, Mary was tickled that she was given the choice of which room in the new JANM pavilion that would bear the Weingart Foundation name. That was all the thanks Mary needed. Mary also constantly reached into her own pocket when the opportunity arose. She was determined to shine a light on the story of the 442nd Regimental Combat Team, for which her husband, George, valiantly served. For that reason, Mary and her family donated $100,000 from the proceeds of an inheritance from her brother to make improvements to the once-dark historic building lobby now occupied by Go For Broke in Little Tokyo. It’s hard to know how this selfless and unassuming retiree became such a force. The third of six children, her sisters and brothers would probably agree she was the strongest in the family. At the mature age of 17, she and her older sister, Aki, were put on a train for a five-day journey across the U.S., to escape being incarcerated. A kind uncle sheltered the two teenagers in a tiny one-bedroom New York City apartment, which Mary vividly recalled, laughing, had a bathtub right in the middle of the kitchen. Mary eventually went back to visit the rest of her family at Heart Mountain, and seeing the horrible living conditions there, she decided to take her younger sister and brother back to New York. This 18-year-old girl managed to get permission to take them out of camp, transport them on the train, squeeze them into their tiny apartment, and enroll them in school — all by her own wits. If I were to name one quality that elevated her to sainthood, it would be her humility. She listened patiently to others without criticism or judgment. She spoke out constructively but never about herself. She was generous beyond compare. She had a gift for connecting people because she always wanted the best for others. Although I will miss her more than words can express, I consider myself lucky to have had her in my life. I have a sneaky suspicion that many of you have Mary Karatsu — or some wonderful Nisei like her — in your hearts, too. Mary and Jimi are two more stars in the sky. Funeral services for Mary Karatsu were held June 1 at Centenary United Methodist Church in Los Angeles. 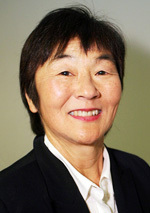 Jimi Yamaichi’s services will be held June 10, 4 p.m., at San Jose Buddhist Church.